For pick-up, call 416-586-1241 or walk on in. add extra cucumber, leeks & hoisin +2. 9. / 14.5 / 44. 10.5 / 16.75 / 52. 11. / 17.5 / 56. 13. / 20.75 / 65. 9.5 / 15.5 / 47. While his degree is in chemical engineering, Eric Chong’s true calling has always been cooking. Although his family was hesitant with his new found career, he was determined to earn his spot in the culinary world after becoming the first-ever winner of CTV’s MasterChef Canada. To sharpen his skills, Eric travelled extensively through Asia with his mentor Alvin Leung, as well as working stints in Alvin’s Hong Kong Michelin-starred restaurant Bo Innovation. He also apprenticed in the kitchens of Buca in Toronto. Now Eric returns to the heart of Chinatown to realize his dream of opening a restaurant, inspired by his childhood in Canada and his grandfather’s dim sum. Eric brings a youthful and rebellious passion to R&D—a modern eatery paying tribute to traditional Asian flavours and beloved Canadian dishes. 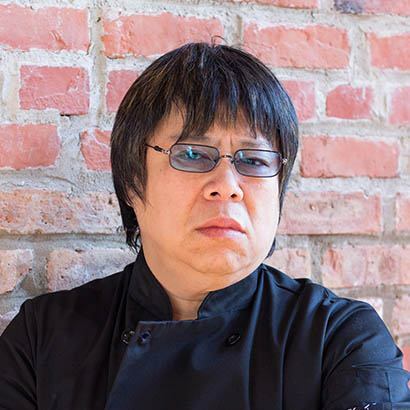 With a fiery personality to match his unusual moniker “Demon Chef,” Alvin Leung was an engineer by trade when he decided to pack up at the age of 42 and pursue his culinary passion in Hong Kong. It was there he opened his critically acclaimed 3 Michelin star restaurant Bo Innovation. Now with multiple restaurants to his name including Bo London, he is one of the few self-taught chefs in the world to hold multiple Michelin stars. 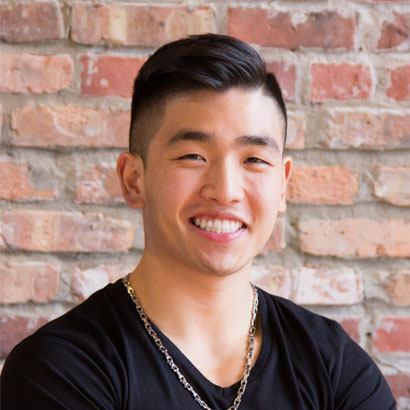 Raised in the suburbs of Scarborough, Ontario, Alvin has re-established his presence in Canada as a judge on CTV’s MasterChef Canada. After seeing the similarities between himself and Eric, Alvin sought to mentor the young chef and in-turn open a restaurant together. Serving dinner, late night bites and drinks in Chinatown. Email events@rdspadina.com or call 416-364-1211. For event packages & venue details, visit oliverbonacinievents.com. For current job opportunities, visit the R&D career page. To secure your order for the “Best Duck in the City” please make note of this in the “Special Request” field when making your reservation.